Two teams, one boss, so many words you�d rather not say, but you don't know which one it is! �	Are you more into the rules and like to have all the info in one spot? 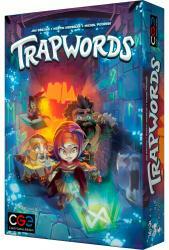 Then here we go: Trapwords overview & rulebook. �	Martin �Aneken� Hrab�lek, one of the trio of designers, published his first part of the designer diary. Be sure to check out the upcoming article as well. 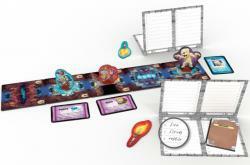 It could be a little handy when it comes to the last pre-Essen contest on Monday 15th October.